The best way of maintaining a good sense of distance control on all of your putts is to keep the length of your backswing with the putter the same as the length of your follow-through. 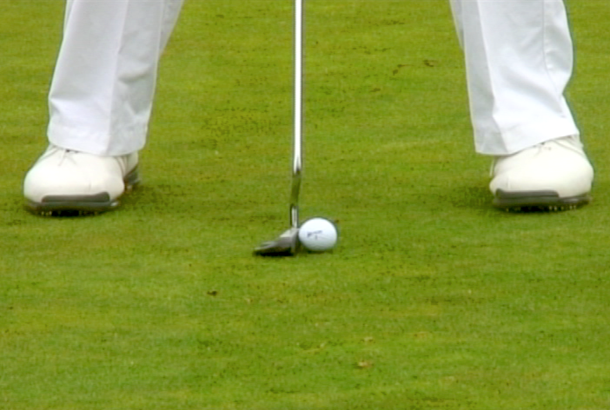 There are certain routines you can get in to that will guarantee you consistency with your distance control. For example, once you’ve taken your regular putting stance, (depending on the speed of the green) a putting stroke from your big toe on your right foot to big toe on left foot could be perfect for a ten foot putt. Find out the optimum length of stroke for the length of each putt, and this drill should tighten up the consistency of your distance control.